Let's make tennis more happy! I thought and developed this software. 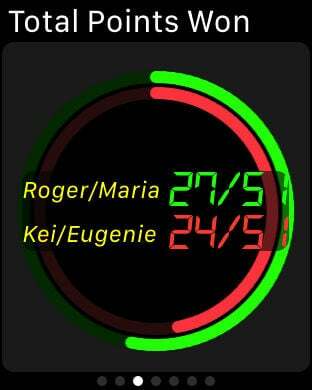 By game scoring, you can manage information of you and other player at once. Just like a professional game, you can check a lot of game stats such as score, serve, ace, mistake at a glance. 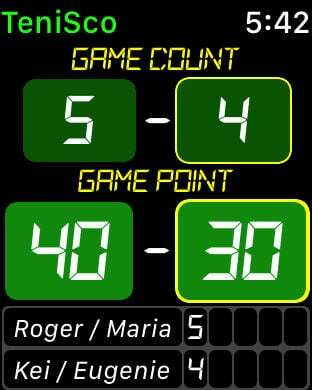 It is also a great tool for coaches and team leaders who want to record game scoring for players as well as tennis players. Please aim for your progress in tennis with this! You can register your team member and your opponent. Also you can register nicknames and photos as well as name. You can register as much information as tennis court name, place, number of coutts, surface type, surface color, etc. 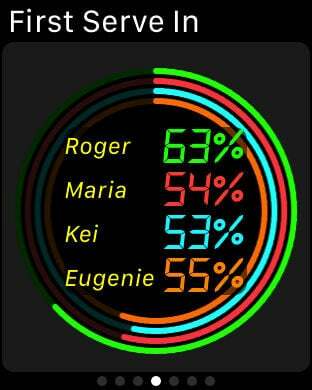 You can manage tennis schedule. Register dates, times, places, partners and participating members. Register match or practice on Schedule. 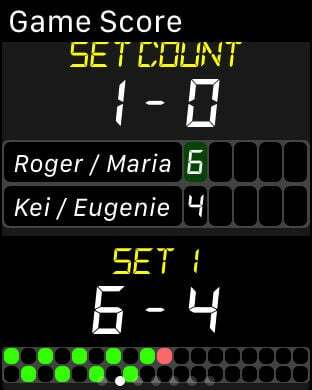 Singles and doubles, as well as many scoring methods are supported. It is possible to record game scores easy such as details of game points and shots. For example, the score of the first serve is input by just single tap, the second serve is double tap. Like professional games you can know the various stats of the game. Please use it for your progress in tennis. 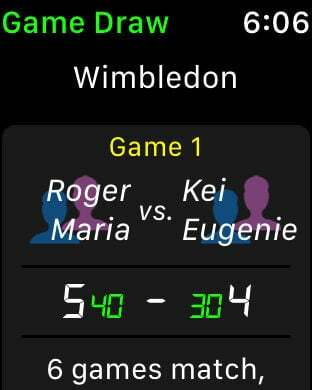 If you send the schedule of the day from the iPhone you can score the game even on your Apple Watch. Game scores can also be checked on iPhone in real time. Just like the iPhone you can check the game stats at Apple Watch anytime. All functions are free to use. However, with the use of the free version, there are restrictions on member registration and game creation, and advertisement is displayed. You can try free for a month if you subscribe. Development has a lot of cost and time. Please cooperate in improving and developing future application functions.Thank you. This paument uses Auto Renewable Subscription. After purchase, iTunes account will be charged $0.99 a month. Auto Renewable Subscription can not be canceled in the application. After purchase you can turn off Auto Renewable Subscription by going to your account settings "Settings" > "iTunes Store and App Store" > "Apple ID" > "subscription" > "Auto Renewable".